I was trying to add an email for the User account on one of the imported organization and getting the error seen below. I tried to resolve this and found information on this. 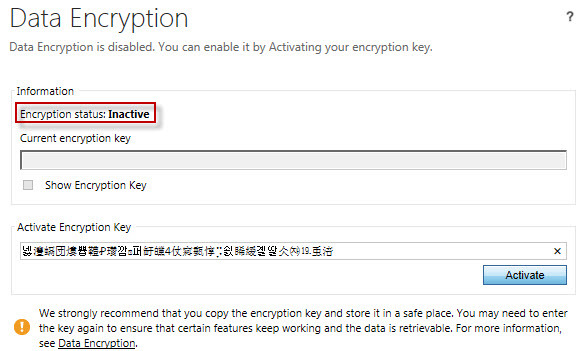 Microsoft Dynamics CRM 2013 uses standard SQL Server cell level encryption for a set of default entity attributes that contain sensitive information, such as user names and email passwords. 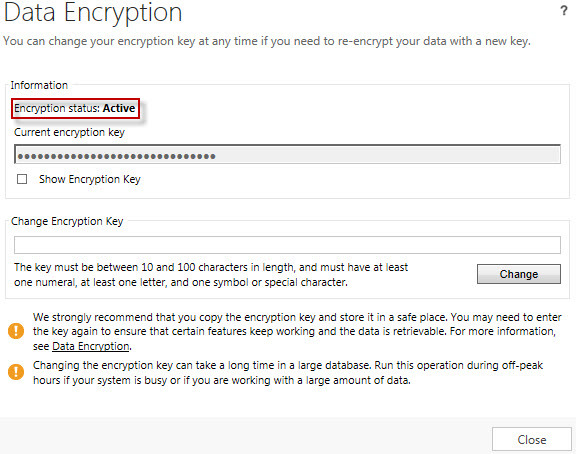 Microsoft Dynamics CRM users who have the system administrator security role can activate data encryption or change the encryption key after data encryption is enabled in the Settings -> Data Management -> Data Encryption area. Once I have activated the encryption key everything is working perfectly. 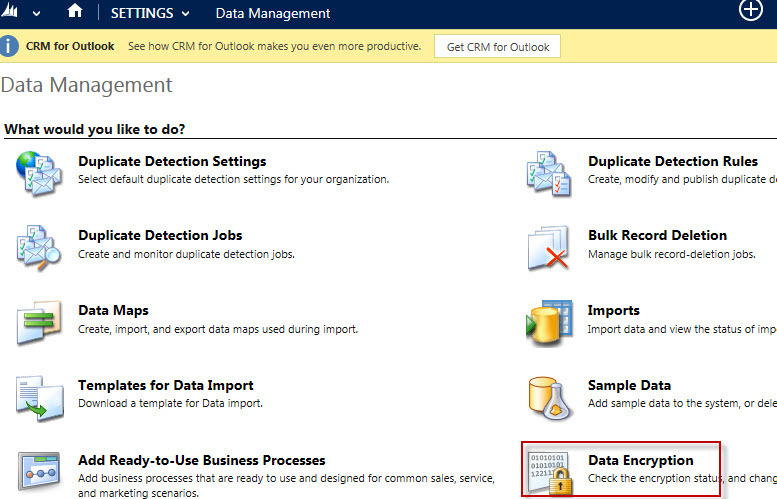 This entry was posted in MS CRM 2013 and tagged Data encryption, Microsoft Dynamics CRM 2013. Bookmark the permalink.